The Quality Inn and Suites Liberty Lake-Spokane Valley hotel in Liberty Lake, WA gives you real value with peace of mind. Our smoke-free, pet-friendly hotel is near HUB Sports Center, Spokane Convention Center and Spokane International Airport. 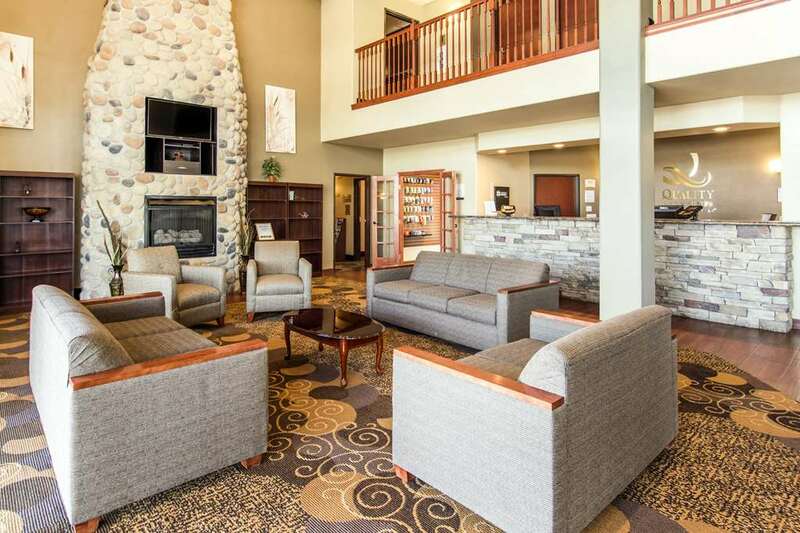 Enjoy amenities like free hot breakfast, free WiFi, free weekday newspaper, free coffee, an indoor heated pool, a hot tub, business center with copy and fax, guest laundry and cold weather hook-up. Each spacious guest room features a refrigerator, microwave, Flat-Screen TV, coffee maker, desk, hair dryer, iron and ironing board. Select suites offer a a hot tub and sofa sleeper. Also, earn rewards including free nights and gift cards with our Choice Privileges Rewards program.